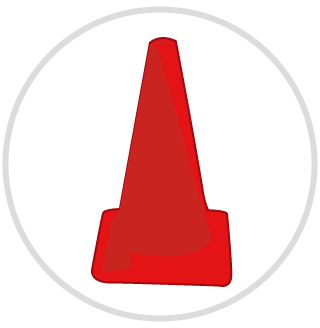 Cones to mark playing area (if outside). Pick 3 – 5 kids to be your cats, give them their evil red balls and have them start in the middle of the gym. Have all other kids turn into mice, and tell them to go to 1 of the 4 corners. The cats must always start in the middle. When the teacher yells “switch” all mice must switch to a new corner. On “switch” the cats can leave their home and try and tag a mouse (cats can’t throw the balls). If a mouse is tagged before reaching a corner, then he/she takes the evil red ball and becomes a cat by going back to the middle. If a cat can’t catch a mouse, then they stay a cat.